Welcome to Encinitas Foreign & Domestic Auto Repair, the area’s premier auto service center. We do everything we can to make your visit with us simple, but spectacular. We offer a full suite of expert and environmentally responsible auto repair and maintenance services. Short on time? We also offer prompt turnaround and same-day service to get you back on the road in no time. 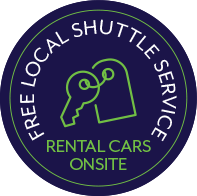 Take advantage of our free shuttle service or available WiFi, because your car’s repairs shouldn’t mean you can’t stay on top of your day. We send status updates via phone or email, so you always know how your car’s day at the shop is going. Encinitas Foreign & Domestic Auto Repair treats our customers and their cars according to the highest standards. That is how we became Encinitas’ number one choice for all things auto. 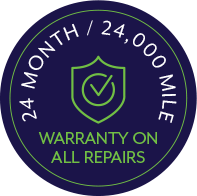 We stand behind every repair with our 24-month/24,000-mile warranty. When your vehicle needs attention, we should be your next stop. 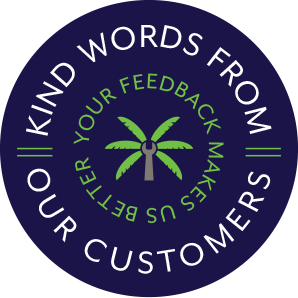 We work very hard every day to win our customers’ trust and loyalty by being genuine, honest and fair. We’re committed to deliver the best work every time. We care deeply for our employees, our customers, the community and the environment. We take pride in our work and the way that we run our business. ASA, ASE, AAA and Green Certified! Being the area’s best auto repair shop is serious business. 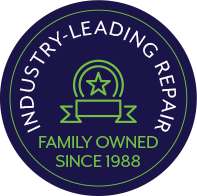 Our awards and certifications are proof of our hard work to be not just the best automotive service provider, but the best business we can be! Our technicians have achieved Automotive Service Excellence (ASE) certifications from the National Institute for Automotive Service Excellence, which means they know their stuff. They’ve demonstrated that they know how to fix problems on all vehicle makes and models. And to be on our elite team, that’s very important. We strive to be your one-stop shop for all your vehicle’s needs, whether it is German, Japanese or American-made. Import repairs can be difficult, but at Encinitas Domestic & Foreign Auto Repair, they are our specialty. Committing to serving our community means more than just providing complete auto repair solutions, we are also a certified Green Station for used oil collection to protect our natural environment. 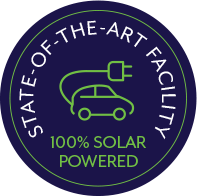 Even cooler than that, our facility runs independently on its own state-of-the-art solar panel system. From day one, we have been committed to minimizing our environmental impact by improving our services and facilities to meet and exceed the highest level of environmental standards. Our work makes Encinitas, CA a safe and sustainable place to live and drive! Our state of the art facility runs solely off of its 184 (46kW) solar panel system. Learn easy ways you can help preserve the environment. When your vehicle needs repair or maintenance, trust the expert team at Encinitas Foreign & Domestic Auto Repair. We save our customers time and money on every visit, all while providing the highest quality auto care you can find in Encinitas, CA. Stop by our shop and we’ll show you how we do it! Our advanced facility is fully-equipped to handle everything from oil changes to wheel alignment to brake repair. All you need to do to improve your car’s safety and performance is call 760-632-0830. Our service advisors are ready to answer your questions and concerns. Schedule your auto repair appointment now with our convenient online scheduling system. We look forward to seeing you at Encinitas Foreign & Domestic Auto Repair soon! When you go to use the services of someone about a subject you know little or nothing about, you must trust in them. 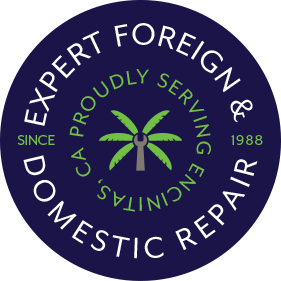 Without question I have, for many years, had complete trust in Encinitas Foreign & Domestic to service my car with exactly what is needed, and more more than just that. I feel that because of going to them for so many years there is a strong business and friendship relationship that has resulted. This further extends my trust. The advise I have received from them is valuable because of my lack of knowledge about car repairs and maintenance. About my car, though it is over 15 years old it is in "top shape". And because I go to them for regular "check ups" and needed service the cost to maintain my car has been minimal. Who wouldn't be satisfied with such a positive and cost effective result! !